Dubai property has performed very well until the recent credit crisis with annual returns over 25% per annum. The credit crisis has knocked everyone's confidence but here's why we think the UAE is still a great place to invest. The essential point here is that when times return to 'normal', demand for property in Dubai and Ajman will continue. 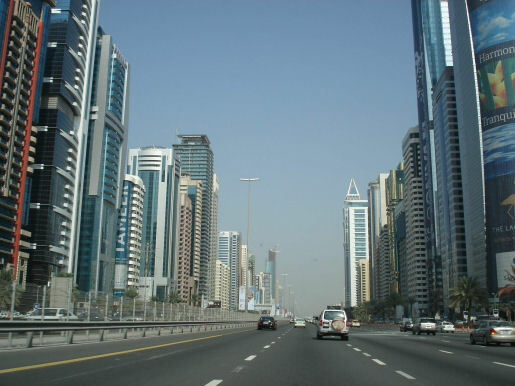 Any investor, overseas or resident, can purchase in Dubai´s luxury property market. Here's an outline thumbnail sketch for more information on the UAE. There is really no difference in buying a property in Dubai, compared with most other long-established property markets. Generally a 10% deposit is required when signing a contract for all newly developed properties. Stage payments are then required to pay for the property through to completion. Buyers do not need a local bank account to buy. If you think you can't afford to buy, why not rent a property? The first thing to decide when buying a property in Dubai is whether to pay cash or obtain mortgage finance. Non-Emiratis are allowed to finance their property in Dubai over any period, from 10 to 25 years. Several specialist mortgage companies and local banks now offer loan packages. There is an outstanding deal on Sapphire Tower, Emirates City. This tower is being developed by BSEL Infrastructure which is listed on the Bombay Stock Exchange (BSE). Here is where you can find out more about Sapphire Tower... There are no taxes when buying property, nor is there any capital gains tax on sale. There is a 1.5% tax on purchase once the property is registered by the Dubai Lands Department and those with a mortgage pay a further .25%. Family residence visas are available - these used to be for three years and is currently under review. It is likely that these visas will be for 6 months at a time in the future.